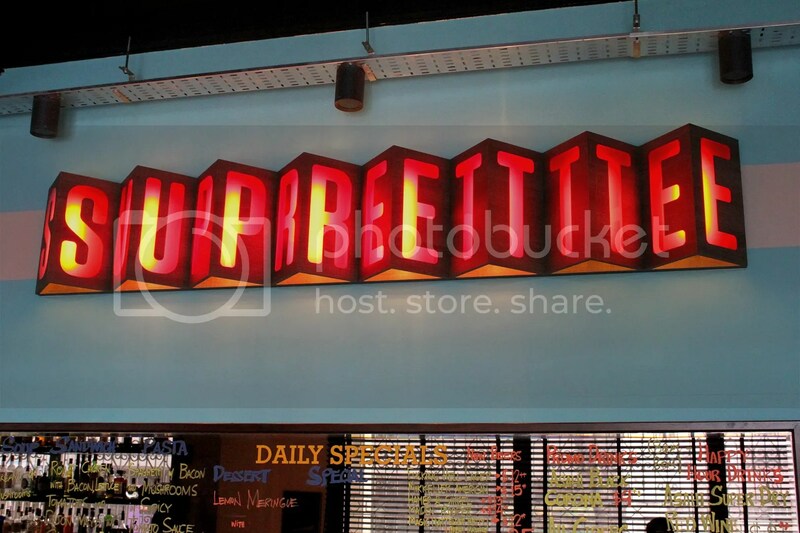 Nothing has been said about Suprette for a while now and it only resurfaced recently when a friend mentioned that her brother owns a stake in the joint and it was her favourite go-to place for weekend brunch. While I did take her comments with a pinch of salt given the potential conflict of interest, she was also someone whom I could reasonably trust with food recommendations. Hence, I made it a point to schedule a weekend brunch here to catch up with some buddies from back in university. 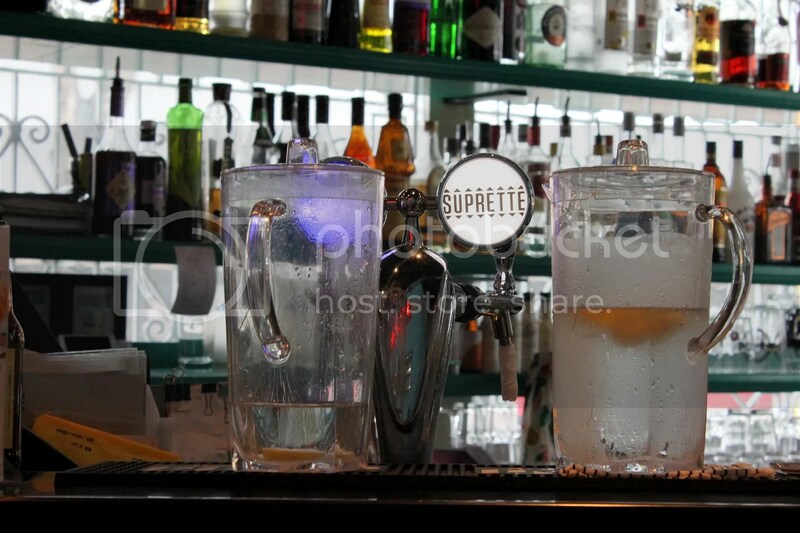 Housed in a Kam Leng Hotel, a boutique hotel that preserves the nostalgic setting of old school Singapore, Suprette couldn’t have been more different, exuding very young friendly hip vibes. The staff were also extremely approachable and motivated. 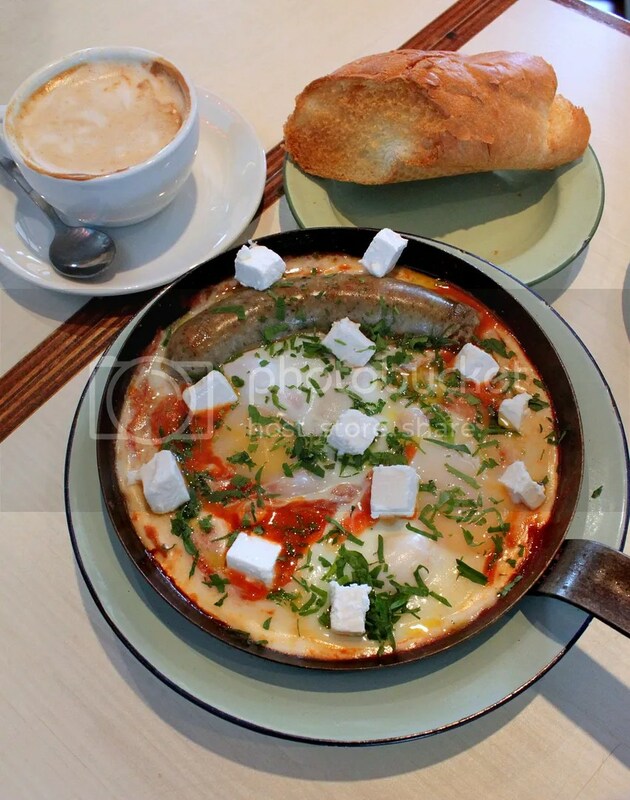 If you are in the mood for a hearty breakfast, try out the Shakshuka ($19++) of middle eastern origin, where you get a dish of poached eggs in spicy tomato sauce, feta cheese, lamb sausage and crusty bread. Personally, I would think that it’s hard to go wrong with this dish, given that the execution seems pretty straightforward. Oddly enough, what I really liked from this dish was the bread. They didn’t lie about it being crusty and you will surely need it to tone down the tangy tomato-based stew. The cafe is pretty flexible, so there’s pretty much free reign to swap the lamb sausage to chicken or pork sausage instead. 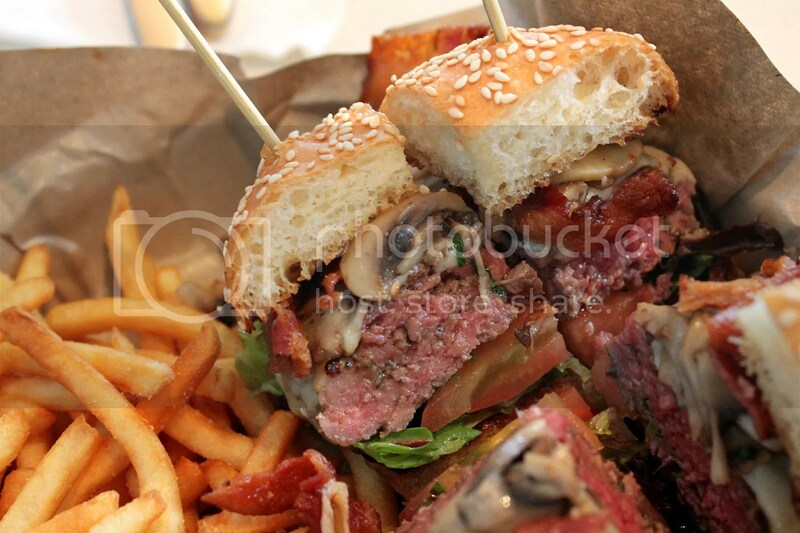 The Suprette Burger ($20++) comes highly recommended by many local food bloggers and it’s easy to see why. First, the doneness of the beef patty is cooked to your liking. Opting for medium rare, you can see based on the pictures that they got that right, with the patty retaining a healthy pink hue. Second, the patty is juicy and doesn’t fall apart easily when prodded. Most importantly, the burger fares well on the taste-test, with extra flavor from the visible green herbs in the patty. The fries are also executed well, with a nice garlicky aroma. Add-ons are available to make the burger less humble. For us, we got the Mushrooms and Bacon ($3++ each). Was eyeing the Foie Gras add-on ($12++) but guess that’s for another day. 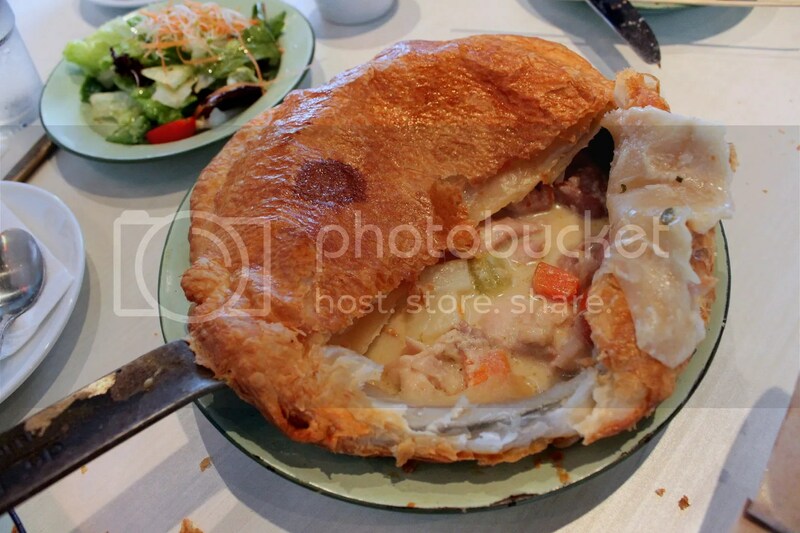 The Chicken Pot Pie ($15++) wasn’t bad but didn’t receive as much praise as the other dishes, since it wasn’t very much differentiated from a generic Chicken Pie. Still, it deserves a premium for being freshly baked, so do expect a 20 minutes wait. The coffee here are good as well, in the $4-$5++ range. Overall, Suprette definitely gets my stamp of approval. The cafe see constant turnover but was never packed, service was great and portions are extremely generous, which was why the staff advised us to just get three items to share between the four of us. Categories : All YumYums in my TumTum, Brunch, Coffee, Cuisine Type YumYums, Lavender / Kallang, Location of YumYum, Western, Yummy! With the cocktail scene alive and kicking in Singapore, Amex has recently launched #ChillaxSG, a one year promotion for Amex Platinum and Amex Platinum Reserve card holders, offering various privileges such as 1-for-1, complimentary welcome cocktails with any order etc, at 16 different cocktail bars from 15 Oct 2014 to 14 Oct 2015. 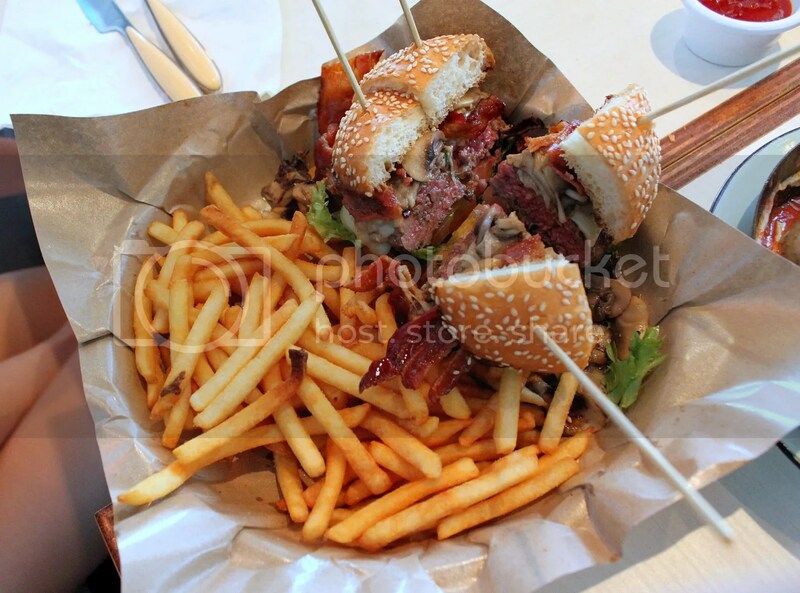 In anticipation of this promotion, I had the opportunity to hang out with the folks from Amex, as they took two mini-bus loads of lifestyle and food bloggers on a pub hop event to 6 of the participating bars to showcase what was on offer. Unlike some of the other places we visited later in the night, The Men’s Room seemed more like a place to get down with unadulterated liquors, especially whisky and gin. Instead of going hard on the first bar, I had their signature Chrysanthemum Cocktail instead, which would have been pretty nice for a tame night out and much reminiscent of Winebar/Zouk’s Chrysanthemum shots. Like a scene out of the 1980s, I truly enjoyed the hipster vibes I got from this place. Like many other bars that concoct bespoke cocktails, you won’t find a drinks menu here and the mixologists get to work by asking about your alcohol and taste preferences. I had their version of the Old Fashioned which I enjoyed. Typically, an Old Fashioned is a bourbon based drink but Ah Sam gave it a local twist in line with the shop’s theme by infusing the bourbon with Milo. What resulted was an Old Fashioned that had the rich creamy texture of milk. I’m the type of person who needs food to go along with my drinks so I was super pleased to find out that in addition to the well thought out ambience and creative drinks, Ah Sam serves up a mindblowing Hokkien Mee as well, which if served in a hawker centre, would no doubt be drawing crowds. 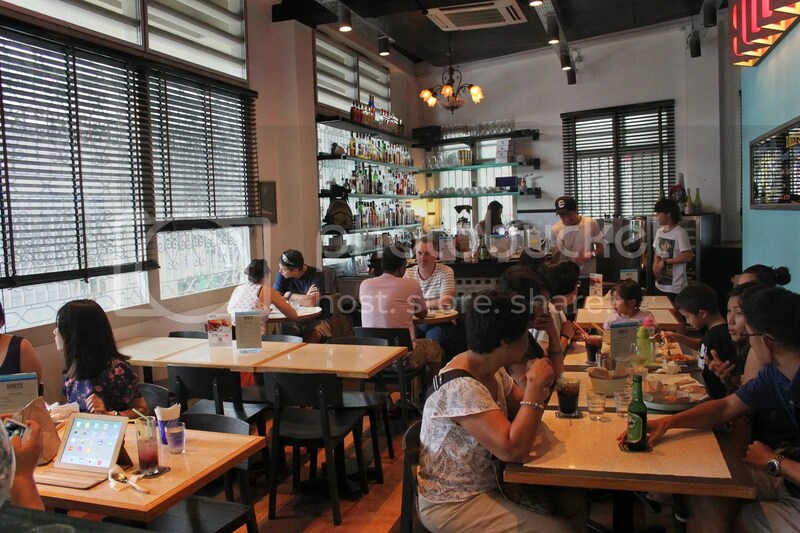 Other food items on the menu include local delights such as Prawn Paste Chicken, Ngoh Hiang and Fried Kuay Teow. For a slightly more grungy environment with an amazing view of the Singapore river, pop by next door from Ah Sam’s to Spiffy Dapper. When we were there, we were served some decent tandoori and grilled items, possibly from the Indian Restaurant downstairs. If so, I think that’s a plus for allowing outside food, while the mixologists focus on doing what they do best. They did a marvelous job with my Gin shaken with Mint, simple but effective. Like Ah Sam’s next door, there’s no drinks menu here so sit back and let the bartenders get creative and concoct something to your mood and likings. “In the middle of Boat Quay, the last remaining bastion of the seedy port town that was Singapore, and hidden away on the second floor is The Spiffy Dapper. Born out of a need to be real and imperfect, we aim to channel the creative audacity and sense of adventure of the 1920’s. The Secret Mermaid is the latest brainchild of restaurateur Howard Lo, the owner of Tanuki Raw and Standing Sushi Bar. In the day, the shop space operates under the name of Shinkansen, a Japanese Salad Bar but once dusk falls, The Secret Mermaid emerges. Specializing in American spirits, The Secret Mermaid offers a range of craft spirits never seen before in Singapore. For the uninitiated, their tasting flights (starting at $15) comprising of 3 half shots of different types of spirits is an affordable way to get educated without breaking the bank. I was also rather intrigued with the novelty Smoked Salmon Vodka and Bacon Vodka that are available in tasting portions. Among the 6 cocktail bars we patronized that night, Maison Ikkoku had the most razzle dazzle and pomp. The setting is elegant, with the mixologists friendly and accommodative. The music is not too loud and allows for a decent conversation. Hence, it’s somewhere I would potentially bring a date, to impress her with the well-executed cocktails, liberal use of pyrotechnics for the cocktail preparation and classy bar grub. For specific cocktails, I would highly recommend the Pina Colada which is served in a seared coconut, the Banana Daiquiri which I found astoundingly refreshing and smooth, and the Passionfruit Gin & Tonic. I have been to Orgo before a couple years back and I wasn’t impressed. Fast forward the clock and I still get the same vibes now. Drinks were a pretty standard affair and the place exudes a more commercialized feel compared to the other 5 bars we had been to. What’s going for the place is the view, given its location on the Esplanade roof terrace. Categories : All YumYums in my TumTum, Bar, Bugis, City Hall, Cuisine Type YumYums, Invited Tasting, Location of YumYum, Raffles Place, Yummy!